"Breeder of three World Winners..."
Seal and blue as well as red, creme, tortie and lynx. All our breeders are HCM and PKD tested with result: NEGATIVE. We are breeding in Fife, our prefix is Seierø. 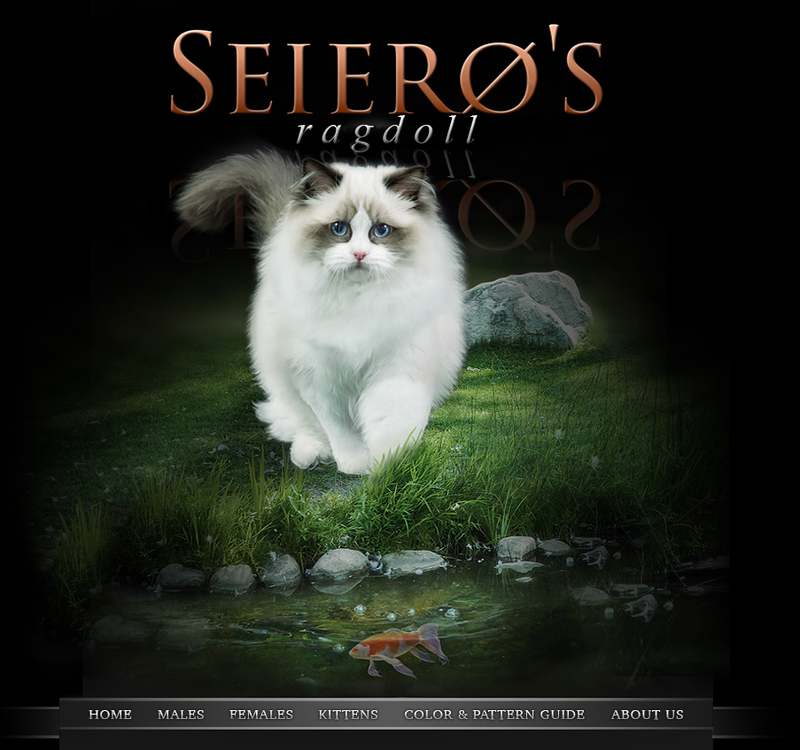 We are members of the Danish Ragdoll Club. "What's going on in our Cattery.."
We are proud to announce that we are now officially an ambassador for ROYAL CANIN! Males: One new male, UsaPurrs Masterpiece, seal mitted. More info will come soon. Kittens: We hope to annonce some kittens soon. We have recently been to a lot of shows and Secret is now Junior Winner and on the Danish Ragodoll Club Topcat List 2018.